I still remember the day many, many years ago when my family was preparing for a road trip. As preparation for the road trip my parents took my siblings and I to a book store and allowed each of us to choose one book. My parents had already instilled in me a love of reading and a friend of mine at school had recently introduced me to the horror genre with the book, “Scary Stories to Tell In the Dark.” My mother tried to steer me towards the lovey dovey books that would espouse within me virtues of kindness and love, books about puppy dogs, flowers and teddy bears. Being a young boy who found these things gross and undesirable, I went straight to the section she was trying to hide from me. There before my eyes was not one scary book, not even two or three, but dozens, if not hundreds of scary books! Much to my amazement they were all by the same author, R. L. Stine. I decided that if he had that many books to his name he must be a good writer. I selected my book for the drive. 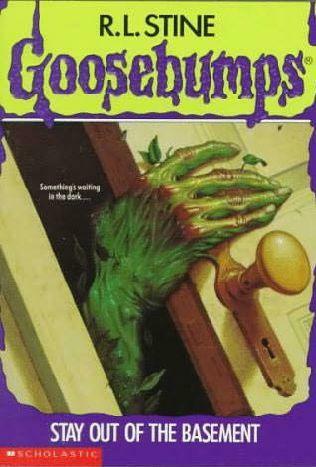 It was the first of many, many Goosebumps books I have owned and read over the years. The Goosebumps movie, starring Jack Black, came out in October of last year. It has since passed its prime and is now coming out on Blu-Ray and DVD. To help promote the release of the Blu-Ray/DVD Sony has released the Goosebumps VR app to the Google Play Store. It is marketed as a VR game but I hesitate to call it that. It is more of a 360 degree video that has been converted into a VR experience. The app is really not that glamorous and features some sub par graphics but somehow still managed to be fun. In the “game” you are a passenger in a car driven by Jack Black and are being chased by a giant praying mantis. In about roughly a minute you are exposed to Jack Black’s character whining, tires squealing, some vaguely monstrous sounding noises and then a car crash. As an adult the experience was not scary in the least. I decided to try it out on my kids (one of which is scared of anything that moves). Both my two year old girl and my six year old son thought it was very cool and tried it several times. So is it an app worth downloading? Yes. Is it worth keeping after your first or second run? Nope, I’ve already uninstalled it from my phone. Where the app really shines is in the fact that it brought back the memories of my childhood and actually made me consider digging through some old boxes to see if I could find my old collection of Goosebumps books and maybe share them with my kids. It also made me kind of want to see the movie when it comes to RedBox. Nicely done Sony! Get the app and try it out for yourself at the source link below.